Disclaimer...I got two two hour blocks of sleep last night. I'm running on coffee and adrenaline. So if this doesn't make any sense, blame Reagan. It's all her. If you know me, or follow me on facebook, you know that the past few weeks I've been talking (ok, whining) about Reagan and her sleep habits. She's been pushing me lately and I am TIRED. Tired of her messing with me, tired of getting up in the wee hours and being the only one she wants to be comforted by, just plain tired. I know exactly where the root of my annoyance comes from. I was incredibly spoiled by Madison. That kid was a great sleeper from birth. Seriously, we brought her home from the hospital, and she slept five straight hours at her first night, and only got better from there. Side note: I have at least one friend who truly, honestly, HATED me during this newborn stage (no, really, she told me flat out). I was concerned Madison might not be nursing enough because she was sleeping 9-10 hours a night at 6 weeks, and this particular mom had a baby who was trying to stay awake forever. We're friends NOW, but I don't blame her. If the roles were reversed, I would have hated her and her "sleeping concerns" too. I think I've made it pretty clear that Madison is no angel, but so far, she's been a pretty textbook kid. She had her really fussy periods when she was "supposed" to, she regressed when the books said she would regress, and she got immediately back on track by following the basic advice I read in those books. For a first baby, we were incredibly lucky. Especially when it came to sleep. I had very few truly exhausted moments. The tricks I tried worked. And worked quickly. 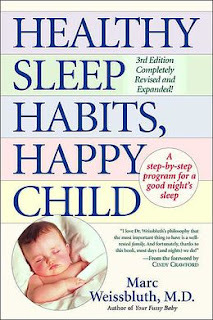 I became a huge advocate of all those "sleep experts", and I'm definitely an overachieving mom when it comes to sleep. I make sure my kids are home by bedtime and nap every day. Well rested kids are happy kids. If only Reagan had gotten that memo. Reagan is another story. She messes with me. She's by no means the worst sleeper I've heard of, but I was horribly spoiled by her sister. Not to mention that my days of chasing after two quick and crazy girls leave me tired to begin with...a restless night is compounded into a truly cranky Meredith. 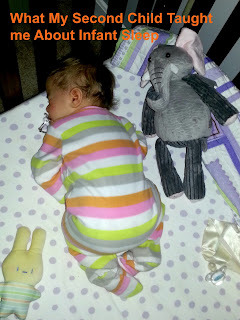 Here are the top ten things my SECOND baby taught me about infant sleep. 1) Babies can't read. Not all of them do what the books tell us they will. Reagan is especially fond of contradicting knowledge I think I have. This worked SO WELL for Madison! 2) Sleep is a blessing when it happens - and consistent sleeping through the night is not always a given. Never assume you're getting a full night, so when you do, you enjoy every moment. 3) Don't be fooled into thinking you know what to expect. Always assume you'll be getting up and go to bed accordingly. Reagan teases me. She'll have a week of sleeping 12 hours, so I'll relax my bedtime. Then she'll pull what she did last night - waking up at 1:30 and staying up until 3...when I went to bed at 11:30. When I set out the Orajel, pre-measured Advil, and an extra pacifier, she won't need it. And when I don't prepare, I'll need it and will be frantically searching in the dark with a crying baby. 4) Whatever worked for your first baby will not work for your second. Those tricks that quickly fixed any of Madison's little setbacks? Reagan is having none of that. White noise? She laughs at white noise. 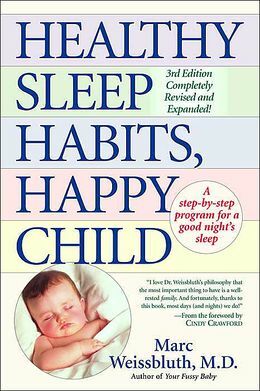 5) "Sleep Training" (which we did a modified version of with Madison around 6 months) is impossible with another baby in the house. Not only is Reagan a particularly poor candidate (she doesn't do those little protest cries that Madison did when we thought we were doing "cry it out", she goes straight to hysterical, super sonic screaming, which I would never be ok with ignoring), but she wakes up her sister. Then I have two girls to get back to bed. How do I know this if I'm not letting her cry? Because she escalates so quickly that by the time I haul my tired self out of bed and put my slippers on, she's already causing everyone to stir. If I try to make a quick pit stop, that's when she'll wake Madison. 6) You will truly wish you were a mind reader. If nothing else, it would make you less snarky to your husband at 2:00 am when he gets up to help and asks "why is she so upset?" Um, if I knew that, I would be FIXING it. 7) Everything can be blamed on teeth or gas. It isn't that your baby has bad sleep habits. Nope. It's teeth, or it's tummy. Advil or gas drops. At least you feel like you've tried something. 8) Bad night sleep = Bad napping. And bad napping = bad night sleep. I knew this, but it's never become more true to me. Today I actually uttered these words to Reagan: If you're going to keep me up all night, you at least owe me a good nap, so I can get things done, so I can go to bed early, so I can be up all night with you!! Reagan laughed at my rant. Somehow I don't think she's sympathetic to my plight. 9) No matter how tired you are, or how frustrating it is that your child hates her crib in the middle of the night, there is a silver lining. As Reagan moves into more and more toddler behavior, I need to hang on to all the cuddles in the glider I can get, even if it does cost me a few hours of rest. 10) It's a phase. It's always a phase. The good streaks, the not so good streaks. It's a phase. Just when I start planning to be up all night, she'll shock me and go right back to twelve hours, and I'll miss catching up on Facebook at 2:30. We won't be doing this forever. I'll keep doing all those "right" things. We have our routine and our schedule. We'll keep putting her to bed at the same time, with bath, books, and bottle. I'll make sure she's drowsy but awake when she goes in the crib. I'll give her a minute or two to fall back to sleep herself before interfering. I'll assure her she's OK when she cries in the middle of the night and doesn't want to get back in her crib. And now I'm off to bed...who knows what tonight will bring? Ha! Meredith, the second one always throws you for a loop. Hang in there, this too shall pass, I hope sooner rather than later! Thanks for all the posts - I'm really enjoying your blog! Both my kids slept like crap until cry it out. It broke my heart but it soooo worked. They are now 2.5 and 4 and take long naps and sleep late, but from about 9 - 7:30. Sleep is such a big deal!